In addition of her role as president of the board of the newspaper, Elvira was a shareholder of a television station, she had a construction company and she actively participated in various public welfare institutions. For years she practiced her profession of notary public. She prided herself on having certified the deeds of “many poor families who purchased their first home”. Then she embraced her other great love, Sociology, coming to preside over the Academy of Social Sciences in Mendoza. 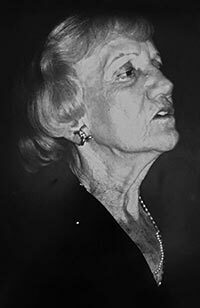 Mrs. Elvira Calle passed away in the beginning of 2007. The original partners, who helped build the winery with her and turn it into reality, are still part of day to day operations. 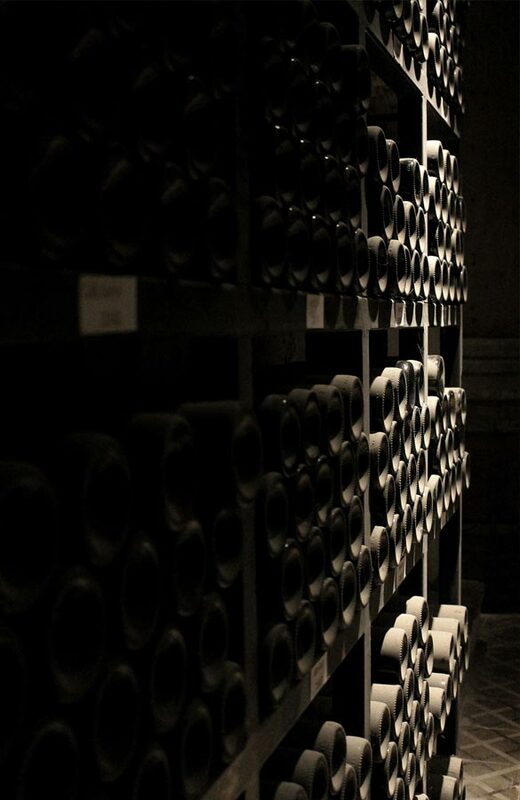 Through their dedication, the winery continues in this great tradition. 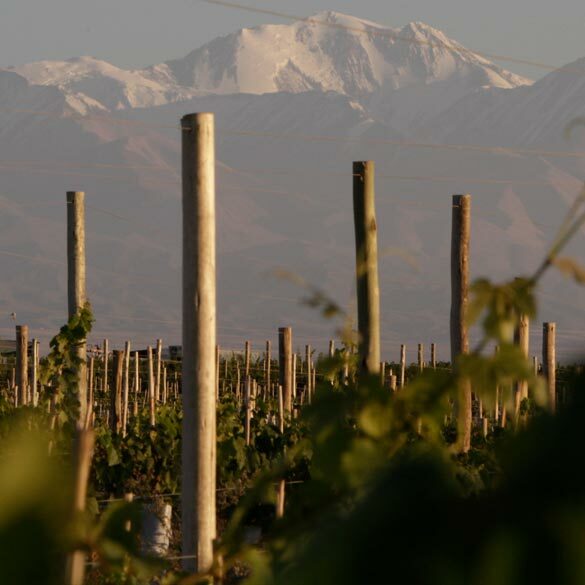 Mendoza is the main wine growing area of the country, and produces over 60% of Argentina’s wine. This is because the area has the right combination of climate and land, essential for the development of quality grapes that create a variety of world-class wines. 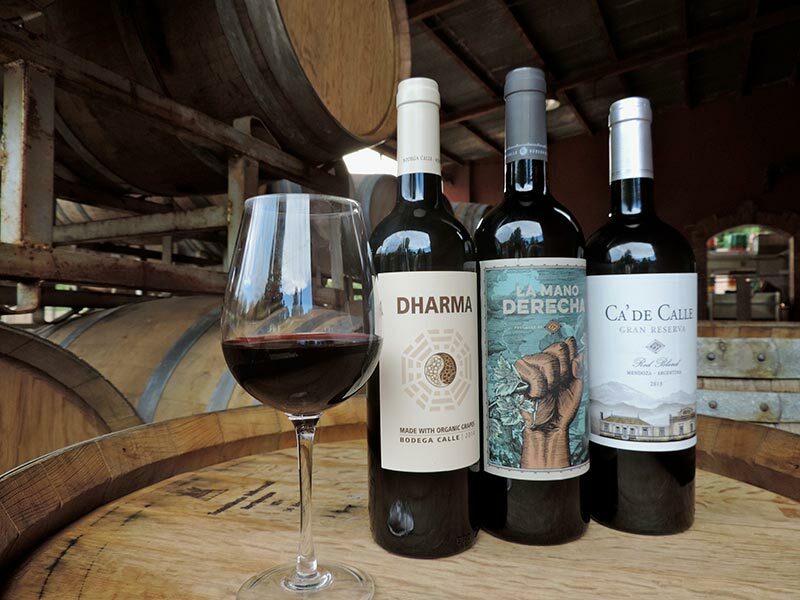 The winery has long-term agreements with small growers in the best viticultural areas of Mendoza (Lujan de Cuyo and Valle de Uco). Terroir is carefully chosen by the winemaker and the vineyard manager to maximize quality first in the design of their wines. In all cases vineyards are small parcels and usually old vine sites that produce noble grapes in very small quantities of fruit per hectare. We are convinced that if we work closely with our producers, we will achieve the expected result in each of our wines. Only by using quality grapes can one achieve excellent wines, and that is our goal in the vineyard. We pride ourselves in using organic techniques in both our vineyards and our certified organic winery. The winery produces its products through an unique system of gravity. The crush pad is 1.5 meters above the winery floor. This height is sufficient to allow the grapes to move intact, without pumping, from the reception area to the fermentation tanks. The grapes enter the winery in 18 kg trays, which are turned over onto a selection belt so that clusters may be manually selected from leaves and unripe bunches. Then the clusters enter the destemmer, where the berries are separated from the stems. Berries fall into a small stainless steel vat of 200 ltrs located at the warehouse level, and is moved manually to a mechanical lift before being hoisted to the tanks. Once the container is positioned by hand above the tanks, the bottom valve is opened and the grapes fall intact into the tanks. This painstaking process eliminates bitter tannins in the wines. The winery has a heating and cooling system to control the temperature of fermentation and storage of the wines. The tanks are mostly concrete, with very small volumes and with all stainless steel accessories. It has a variety of tank sizes from 10 hl tanks and beyond. Most are 100 hl, allowing for a winemaking process under strict quality control. Machinery includes: selection belt, mobile reception bins, destemmer, several pumps, stainless steel pressing baskets and stainless steel accessories of the latest generation. It also has a fully equipped laboratory for analysis. The winery includes an underground cellar and from it is possible to walk directly to the Chalet stairs via its private wine cellar. 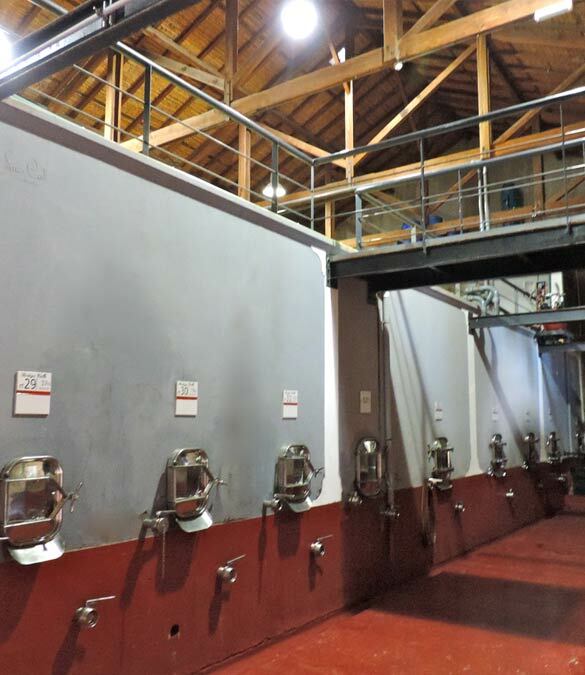 Originally the cellar was made up of six concrete tanks of forty thousand liters each. In 2001, they were modified with large archways to house up to 180 small oak barrels. 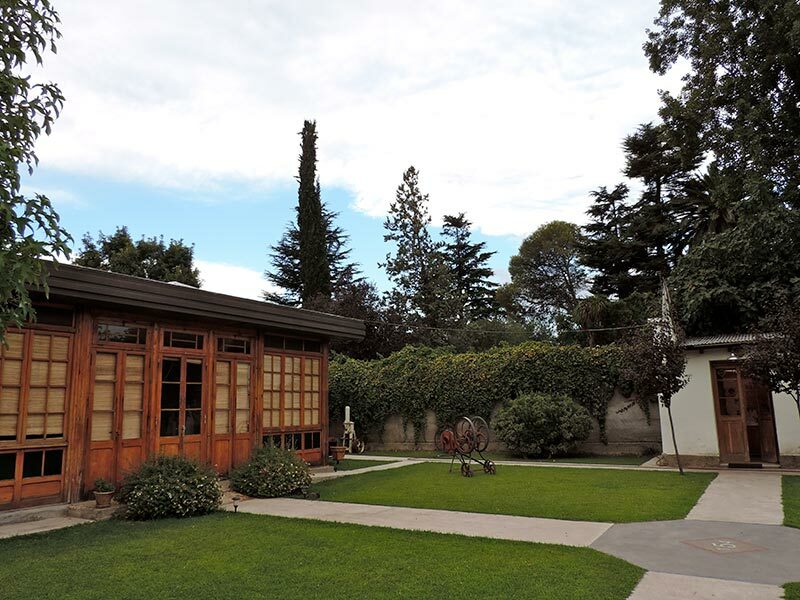 The winery is located in the department of Luján de Cuyo, the most important wine region of Argentina; in the district of Mayor Drummond, a neighborhood of traditional wineries, where we have illustrious neighbors such as Luigi Bosca, Lagarde, Carmine Granata, Angel M. Espiño, Family Baldini and Carmelo Patti. 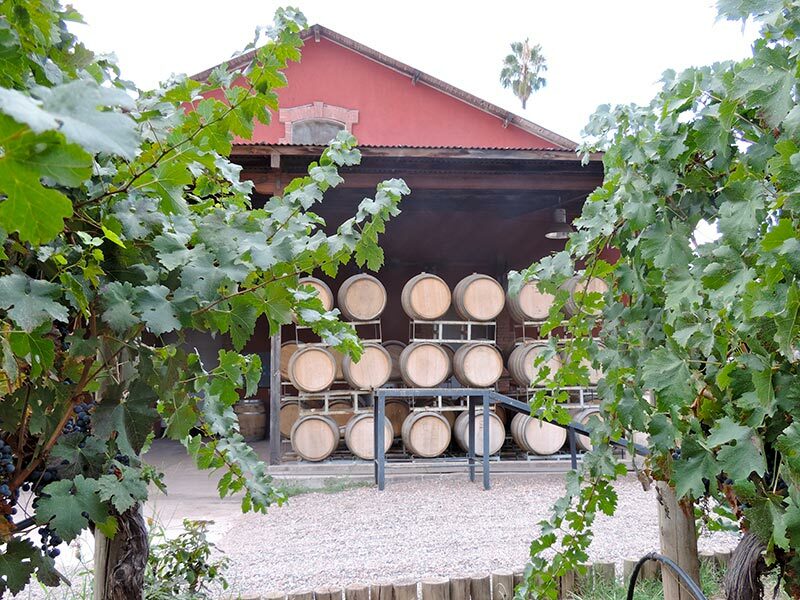 This famous district, known as the “Primera Zona” for great Malbec, is located in the north-central area of Mendoza, 19 km from the capital of the province. It is bordered to the north with Godoy Cruz, Las Heras and Maipú; to the south with Tupungato; to the east with Junin and Rivadavia; and to the west with the Andes Mountains and the road to Chile. The climate is semidesertic, with annual average temperature between 38° C maximum and minimum -5° C.
Lujan de Cuyo is a modern, progressive and ever expanding city. For its beautiful views and its cultural characteristics, it is a land of contrasts, with tourism throughout the year.